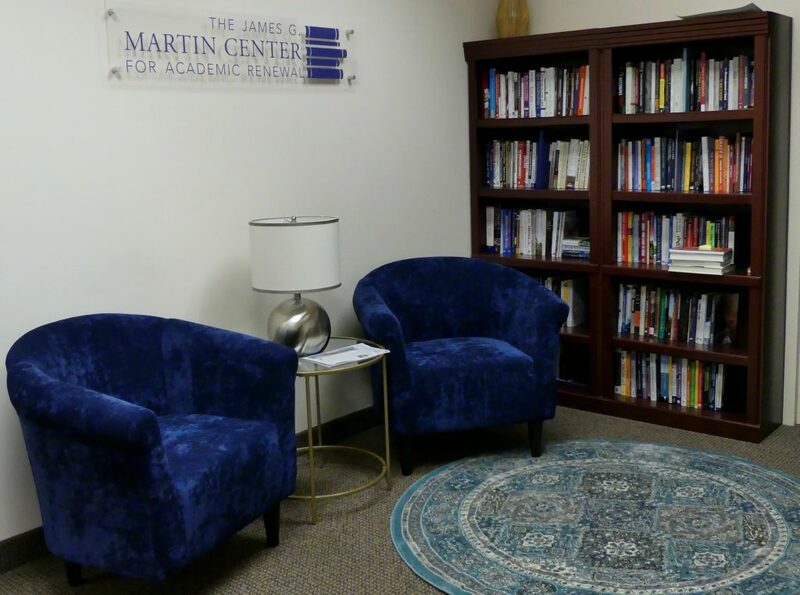 The James G. Martin Center for Academic Renewal is dedicated to sharing its research and its resources on higher education policy. To further our mission, we will soon open our library – a collection of nearly 500 books, essays, government publications, and other works on higher education – to the public. We hope to allow members of the public access to content on higher education that may be otherwise unavailable to them. Our collection catalog is available in a searchable online database. Our library spans a wide array of subjects. We invite readers to broaden their knowledge with well-researched, reliable information and scholarship. Our library is open by appointment only. If you would like to request access, please call us at 919-828-1400 or email info@jamesgmartin.center. Donations of any works related to higher education are accepted! If you would like to donate a book but are uncertain about which title to select, we maintain an Amazon wishlist of notable works yet to be incorporated in our library.